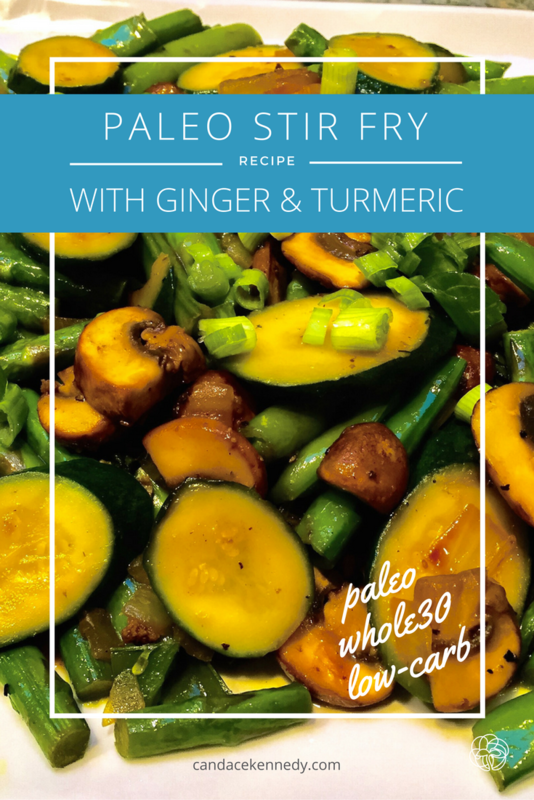 This paleo stir fry recipe is full of vibrant green color and the flavors of summer vegetables. See what’s in stock at your local farmers’ market as you can easily substitute other summer vegetables for the ones listed below. Summer squash, Chinese long beans, eggplant and peppers would all work well in this recipe. This can easily be made vegetarian by nixing the beef and adding some fresh avocado after cooking. I’ve also added leftovers from this recipe to my morning scrambled eggs to start the day off with even more vegetables and quality protein. Heat a large skillet over medium-high heat. Add about 1/2 T of cooking fat to the pan. Then add in the ground beef and cook until browned. Salt and pepper to taste. Once browned, remove from the pan. Slightly reduce heat and add a little more cooking fat. Toss in the mushrooms and give the mushrooms space and time to get slightly browned. Salt and pepper, then remove the mushrooms from the pan. Add yet another small bit of cooking fat and then throw the shallot into the pan. Cook about 3 minutes, until the shallot softens. Next, add the zucchini in with the shallot, and a dash of salt and pepper. Let the zucchini cook a few minutes until they start to soften. Then add in the asparagus, snap peas and garlic (and a dash of salt and pepper). Cook for several minutes until the vegetables soften and the asparagus and snap peas appear bright green in color. 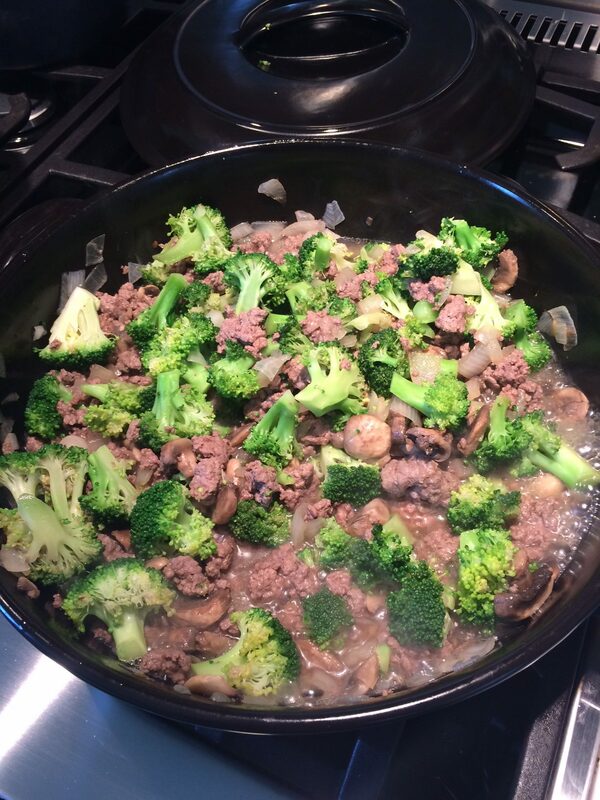 Return the beef and mushrooms to the pan. Add the ginger, turmeric, coconut aminos and Red Boat fish sauce. Season to taste with salt and pepper (if additional S&P is needed). Give it all a good stir. Plate your dish and garnish with fresh herbs or a sprinkle of sesame seeds.